 + 18 large pp + plate. 1st ed., clean in brown card covers. 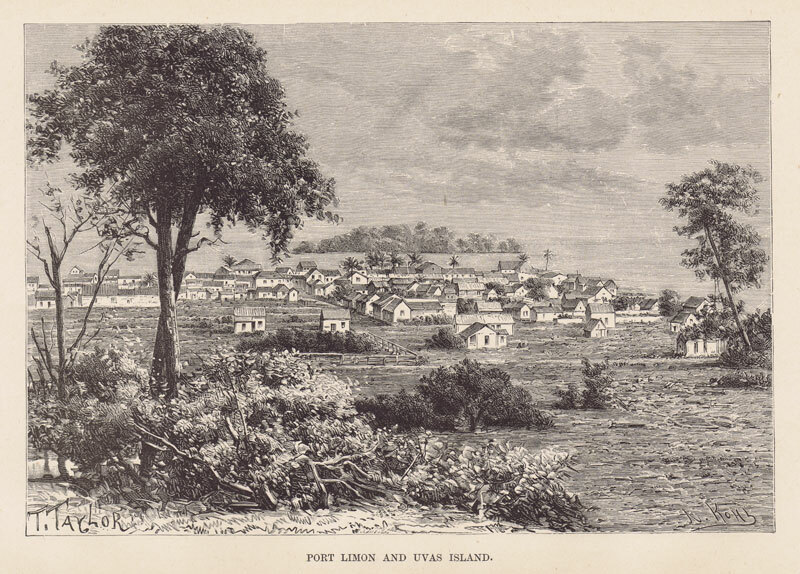 TAYLOR T. Port Limon and Uvas island. From The Universal Geography. J.S. Virtue & Co., London 1890 (circa) Woodcut. 7.5 x 5"
H.N. RUDD Loading bananas, Cristina farm. 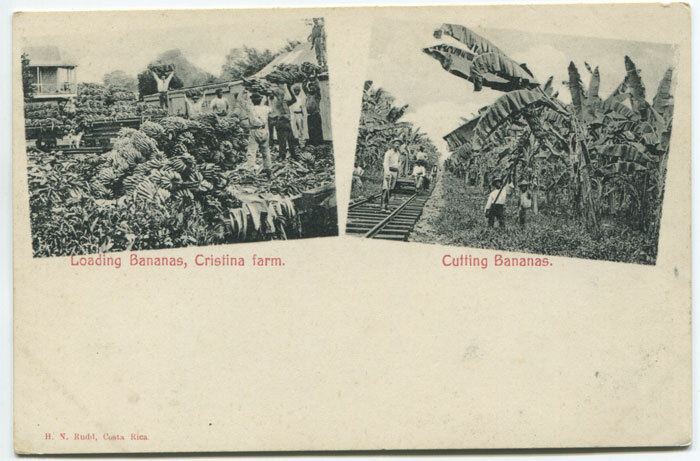 Early Costa Rica postcard, circa 1902 with two vignette views, clean unused. BLUTSTEIN H.I. and ANDERSEN, ET AL. 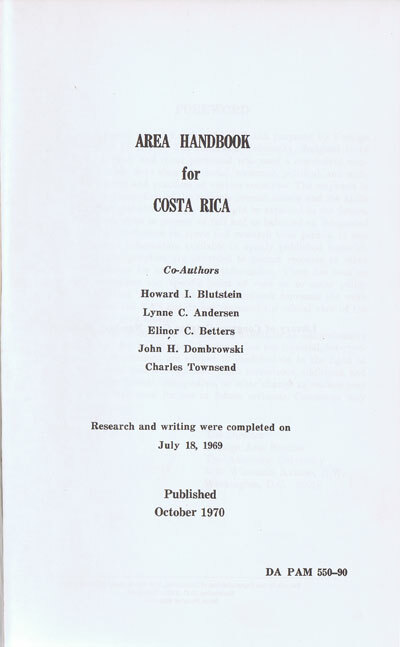 Area handbook for Costa Rica. Washington D.C. 1970 323pp. 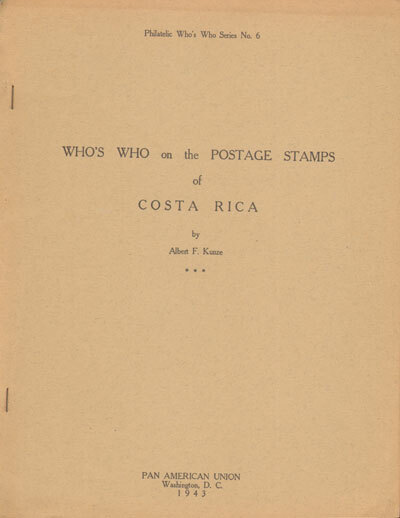 1st ed., fine in orig. cloth. U.S. Government handbook with historical, geographical and economic information on the country.